A dental emergency such as an injury to the teeth or gums can be potentially serious. Ignoring a dental problem can increase the risk of permanent damage, plus can increase the need for more extensive treatment later on. We have a multi-specialty practice that can solve any dental problem and we take emergencies immediately using the latest advanced dental methods, including gentle laser dentistry. If you have a dental emergency, call us right away. 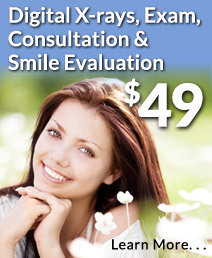 One of our highly-experienced dentists will find the source of your pain and fix the cause on the same visit.